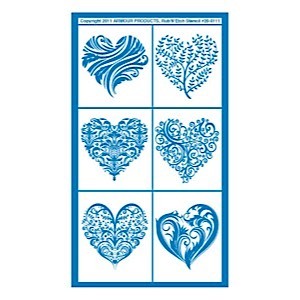 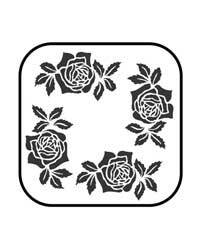 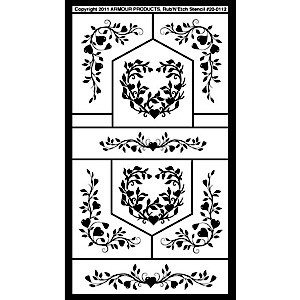 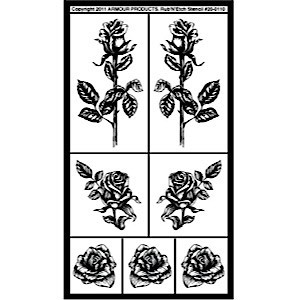 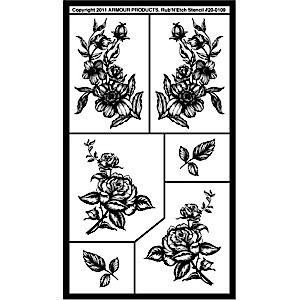 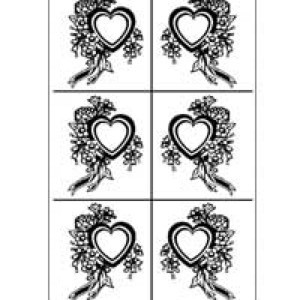 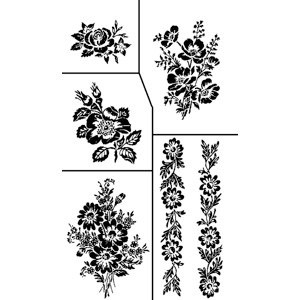 Size: 3 1/2"x 2" These pre-cut adhesive backed vinyl stencils are perfect for mirror decorating, door glass accents and wood carvings. 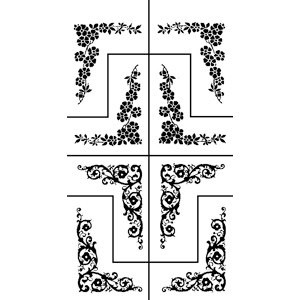 Designed for chemical etching, mirror removing, sandblasting, painting and staining of glass, mirror, tile, metal, granite and other non-porous surfaces. 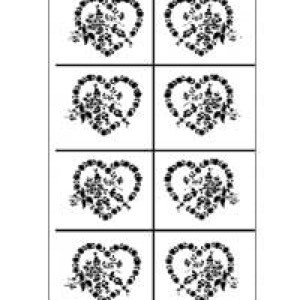 Each stencil includes complete photo illustrated instructions for a variety of applications.